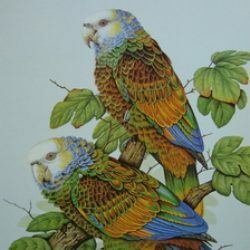 AMAZON PARROTS OF THE CARIBBEAN: AN ENVIRONMENTAL BIOGRAPHY. The multidisciplinary book project weaves environmental history, post-colonial and ecocritical theories, conservation science, and archival research to construct the narrative of one family of endemic Caribbean birds against the background of the political, economic, and social forces that led to its decline and (perhaps) recovery. It traces the Caribbean Amazon’s parrots history through the archeological record; the relationship to the indigenous populations; their role as colonial IOUs, symbolically standing as representative of the wealth of the Indies; the impact of deforestation and the plantation on the species; their evolving relationship to the peoples of the region; their emergence as national symbols since independence; and the efforts to restore the Caribbean forests as necessary to the preservation of the various species. The project is supported by a Visiting Research Fellowship at the David Rockefeller Center for Latin American Studies at Harvard University. THE ASSAULTING CARIBBEAN SEA: CLIMATE CHANGE RESILIENCE AND THE REGION’S ENDANGERED CITIES. This environmental humanities book project offers a comparative multidisciplinary analysis of climate change resilience among the populations of four Caribbean cities threatened by rising sea levels and expected to undergo far-reaching changes by the year 2050: San Juan (Puerto Rico), Santo Domingo (Dominican Republic), Trinidad (Cuba) and Cartagena de Indias (Colombia). The study looks at these UNESCO World Heritage cities’ resilience as measured by government and civil society’s response to environmental threats, focusing on emerging environmental “narratives” through which civil society (environmental organizations, activists, writers, journalists and artists) encapsulate the tales engendered by their city’s environmental history and present needs for climate change adaptation plans. The project builds upon the theoretical and methodological tools developed under the aegis of the environmental humanities for the study of narrative in post-colonial ecologies in the Caribbean region, seeking to push the boundaries of post-colonial ecocriticism to encompass a broad variety of urban voices engaged in the urgent task of averting (or at the very least mitigating) rapidly approaching ecological crises. Images: from Ruby Rumié’s Getsemaní project. José Martí: A Lifeis my on-going biography of the leader of the Cuban War of Independence, a man known as “the supreme hero of the Cuban experience”—“the embodiment of everything sacrosanct about the Cuban psyche.” The project seeks to chronicle Martí’s life against the complex background of his historical moment (1853-1895), but without privileging the revolutionary hero over the private man, the modernist writer, or the judicious critic of the burgeoning North American empire. Its point of departure is that the Martí of legend is a far less interesting man than the multitalented individual whose commitment and choices brought him to an early but glorious death. 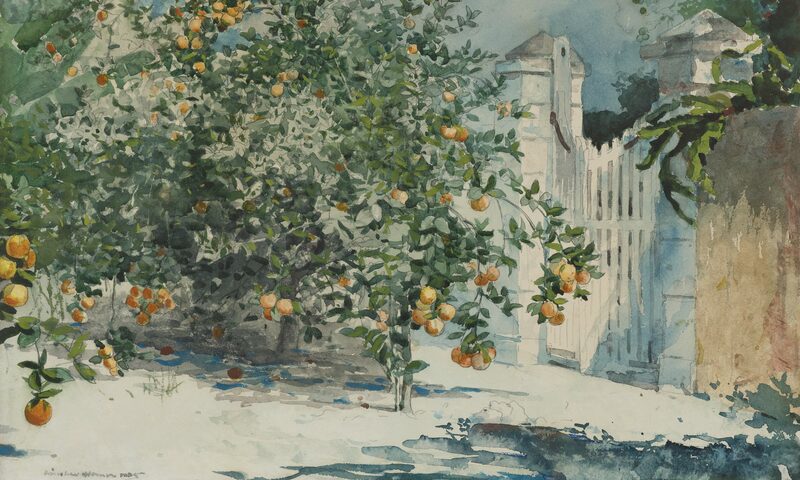 This book project is a multidisciplinary, comparative study that looks at artist’s representations of the landscapes and peoples of the Caribbean in the period between the end of U.S. Civil War (1865) and the Spanish American War. My main focus is on how, through the nuances of representation of Caribbean landscapes and peoples during this period, we can read the complexity of responses to a rapidly changing political and economic landscape as the United States begins to encroach onto Caribbean territories still precariously controlled by European powers. 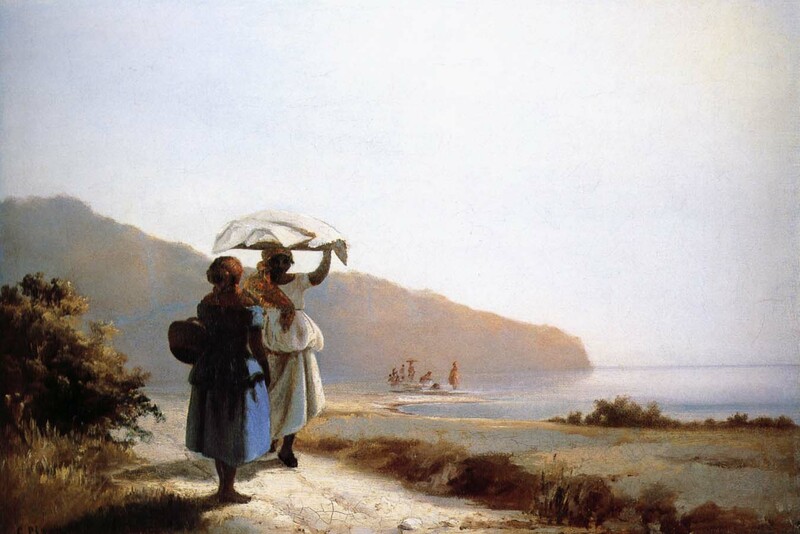 Using a variety of multidisciplinary approaches, the project looks at the work of seven interconnected painters who worked in the Caribbean between 1865 and 1898—Frederic Church, Martin Johnson Heade, Camille Pissarro, Fritz Melbye, Francisco Oller, Paul Gauguin, and Winslow Homer. 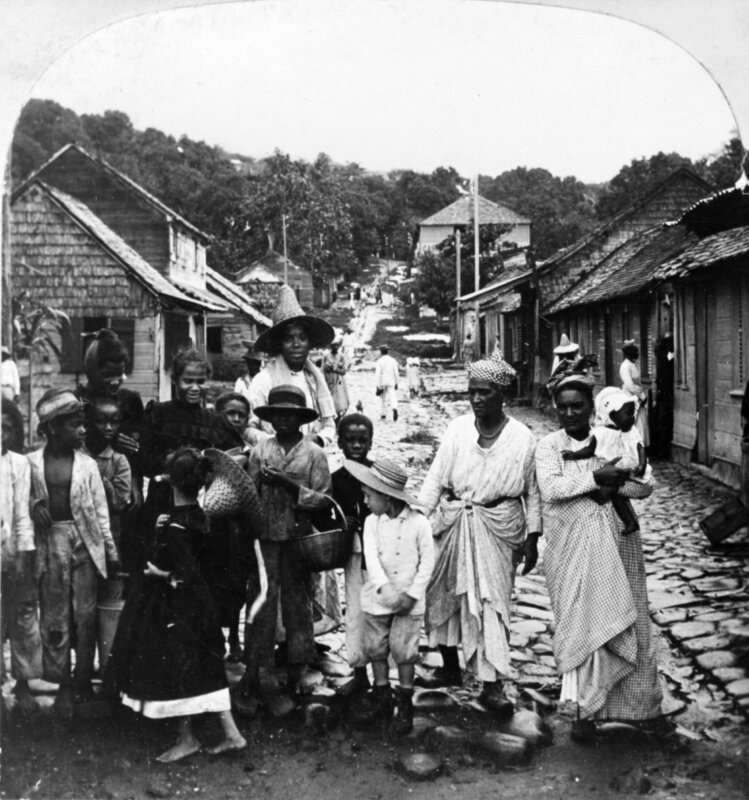 The multiplicity of gazes through which we come to view the Caribbean during these years reveals how wrought with discord, how laden with significance representation became during this crucial period. Each one of the artists included in the study reflects a view of the Caribbean as a portal to “America,” a vision that could encompass virginal landscapes, exotic peoples, flora, and fauna, and prodigious mineral and agricultural wealth while reflecting the local need to concretize borders, to carefully balance extra-territorial alliances, and narrow their definitions of local space so as to foment the development of a national consciousness—in the North as well as the South. The project explores the literature written in the wake of the eruption of the Mont Pelée volcano and the destruction of the city of St. Pierre. From early texts like Marie Bally-Dufrénois’ Éruptions du Mont Pelé en 1902, lettres d’une fiancée to Patrick Chamoiseau’s Texaco, it looks at the eruption as the before/after of Martinican literature. ADRIFT PATRIMONY: CUBAN SEASHORE ECOLOGIES, ART, AND ARCHITECTURE IN THE WORK OF ATELIER MORALES. With Sofía Benítez.